Two trailers for the sci-fi shorts collection. 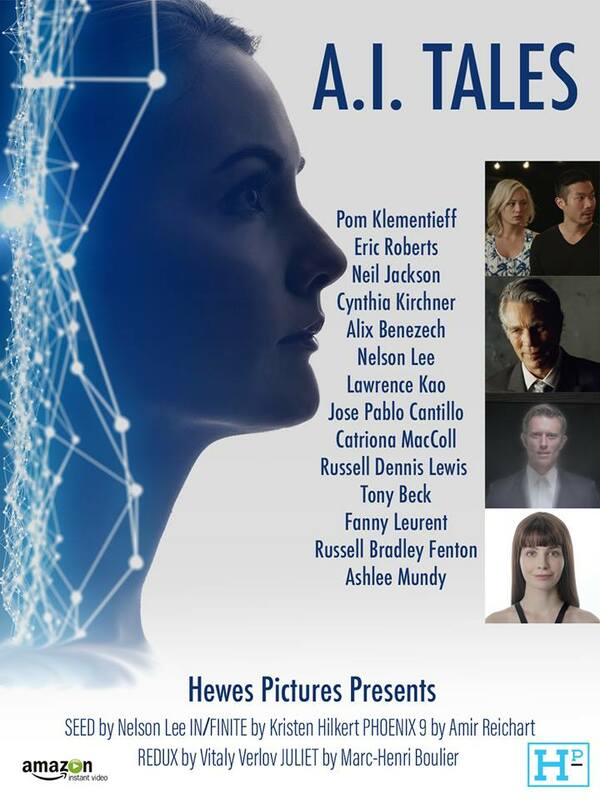 Now streaming on Amazon, A.I Tales collects five sci-fi shorts featuring stars like Pom Klementieff (Avengers: Infinity War), Eric Roberts (The Dark Knight) and Neil Jackson (Westworld). The featured shorts are Seed by Nelson Lee, In/Finite by Kristen Hilkert, Phoenix 9 by Amir Reichart, Redux by Vitaly Verlov and Juliet by Marc-Henri Boulier. You can check out trailers for two of the stories, Seed and Redux, below.